Each and every moment has the power of impression that can change one’s life forever. However, more than impressions, lives are revolutionized by influences of great people. As the saying has lived on for ages and will continue to, every person in this world is unique. This uniqueness of individuality that sets one person apart from the other, also gives him a ground to prove his superiority over the rest in an enclosed yet wide sphere of life. There is a saying in cricket, ‘ Form is temporary, class is permanent. ‘If it is applied to the world of musical industry one could extend the analogy to say that charisma will show. This saying holds true for none other than the latest singing sensation of our industry the dashing and dynamic rockstar singer Shailen Bhadra. It maybe worth mentioning that apart from being a brilliant and versatile singer Shailen is also a Physiotherapist who is also simultaneously practicing in his chamber. A bachelor degree holder in Physiotherapy who apart from being a singer can also play the tabla, guitar, thumba, harmonica with equal ease and finesse. Born into a musical family his parents Mr. Abani Kanta Sarma and Minakshi Devi were good singers of their times and his grandfather Late Bhadra Kanta Sarma was also a renowned singer of his time so music was his blood. 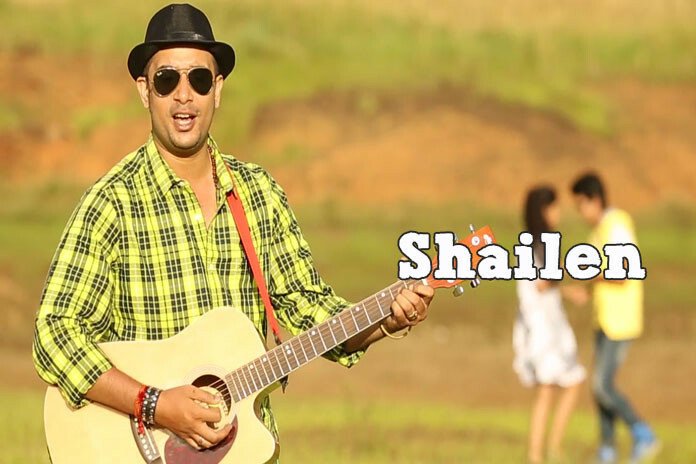 Shailen started his musical journey from his debut album Lohor and immediately everyone took notice of him. Lohor was a huge hit among the masses and its songs Axomiya Axomiya, Nile Nile and Godhuli Beliya were hugely popular among today’s generation. His new song Najanu Nubuju sung by him is also creating waves in the music world. Apart from his first love which happens to be singing he also writes beautiful lyrics, composes wonderful tunes and does music arrangement sessions for various people in the industry. Another special feature of this multi-talented personality is that he can mimic various singers of Bollywood. He has another feather to his cap by including a new instrument to the music world i.e The combika (An instrument made from the comb) which is becoming very popular nowadays. He has also performed in many shows and functions. I wish the multi-talented singer Shailen Bhadra all success for a bright musical carrer.